Purchasing processes that are smooth, reliable, accurate and right on time. The Transfact SRM Module allows your employees to easily create, maintain and track all purchasing data keeping it organised, structured, centralised and available from anywhere you need them. Numerous automatic functionalities have been integrated to the Transfact SRM module, to make it easier to create the purchase orders that your organisation needs, at exactly the right moment, for the correct materials and amounts, with your preferred suppliers. Supplier data can be of great value to your organisation if you can keep it well-maintained and up to date. The Transfact SRM Module helps you to do just that, in a clear and easy way. Save time and money, by keeping all purchasing information organized, accessible and structured in the exact way your company needs it. 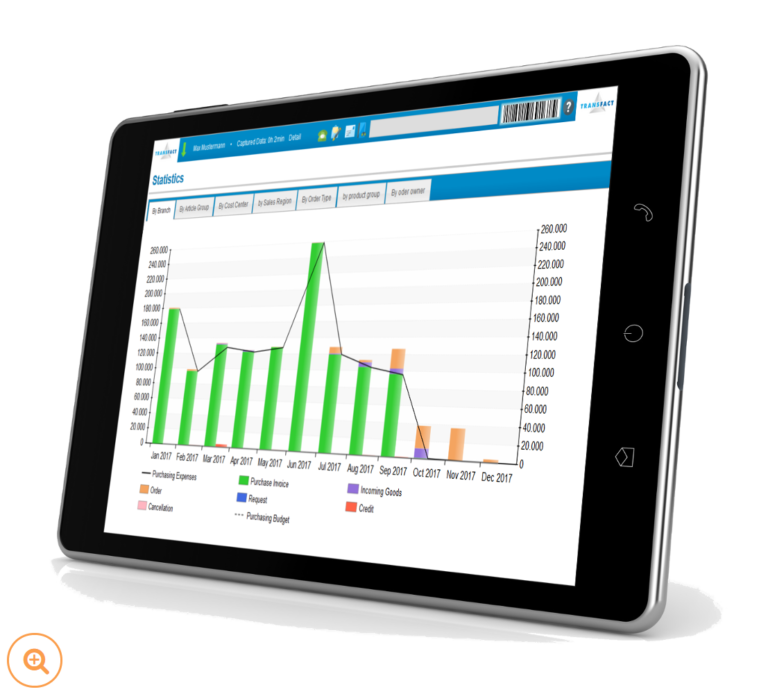 Purchasing, Stock, Sales and Production data, all linked together and automatically integrated for you. 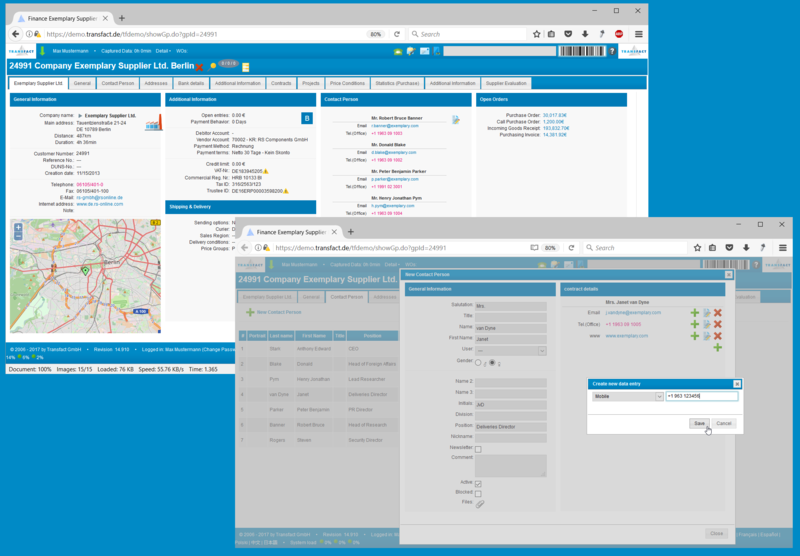 The Features of the Material Requisistion Planning in the Transfact SRM module support your fulfilment processes, providing you with complete and clear information, so that it is easier for you to make the right purchasing decisions at the right time. 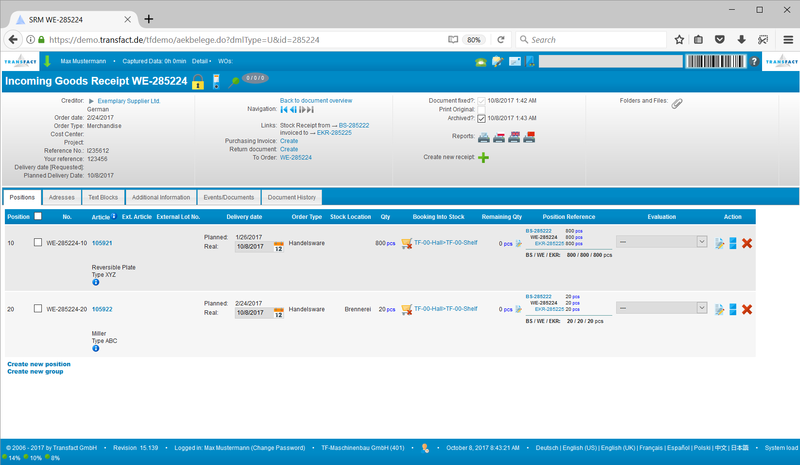 Quotes, purchase orders, deliveries, incoming goods and invoices are automatically tracked and linked by the System. 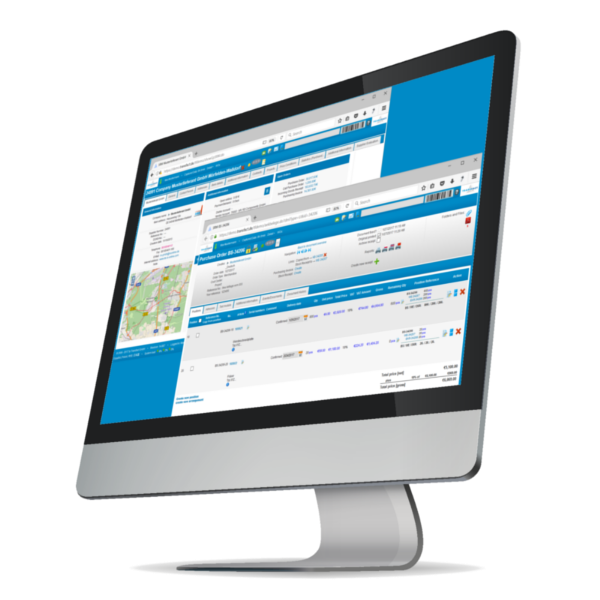 The Transfact SRM user-friendly overview of all linked data, allows you to easily find, track and followup all your purchasing information. 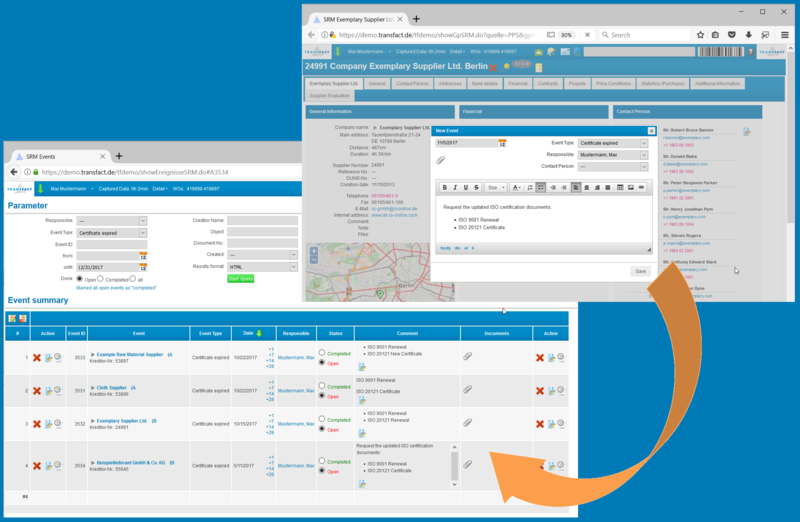 Keep all your supplier information organised and structured in one single place available to all your purchasing employees. The Transfact SRM System makes improves the maintenance of supplier information, because it makes it visible, easy to access and easy to update directly via your browser. Custom fields can be created and structured to match specific needs of your purchasing department. A System that really supports your purchasing processes. 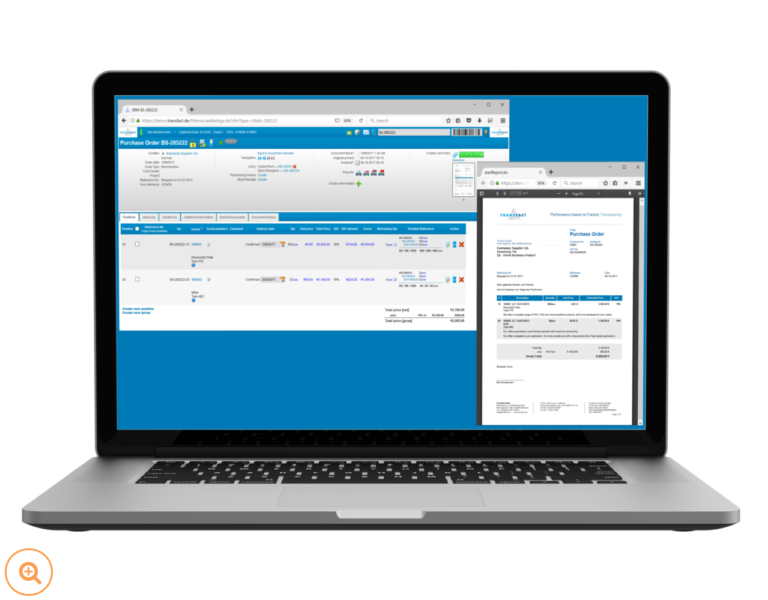 From quote, to purchase order, to goods receipts and invoices: create each of these documents with one click and have them all linked together, easy to find and with all information relevant for your organisation. Partial deliveries, returns, cancellations, incoming inspections and all typical situations that might come up during the purchasing process, can all be recorded and tracked in the system. 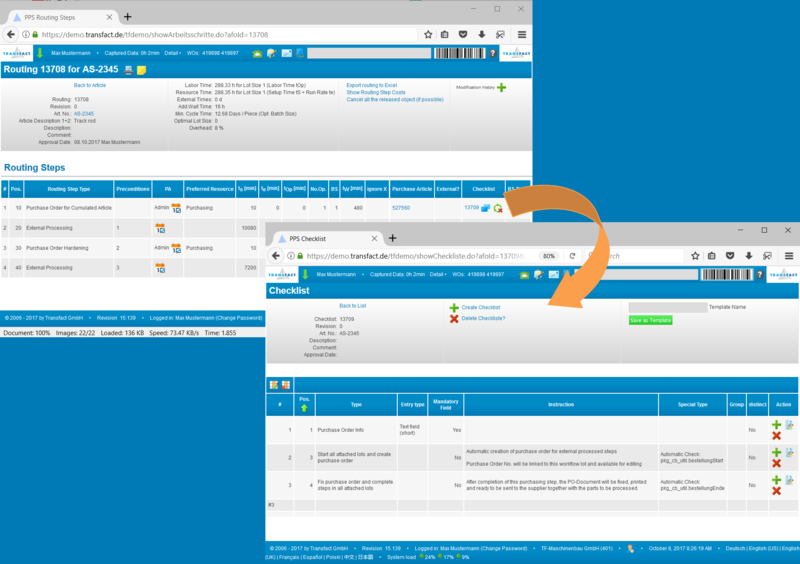 Find any record, document or transaction in the history of the system with a few clicks and directly on your browser. The Transfact SRM can be seamlessly linked to the Production module, allowing you to trigger purchasing processes at the exact moment when production requires them. 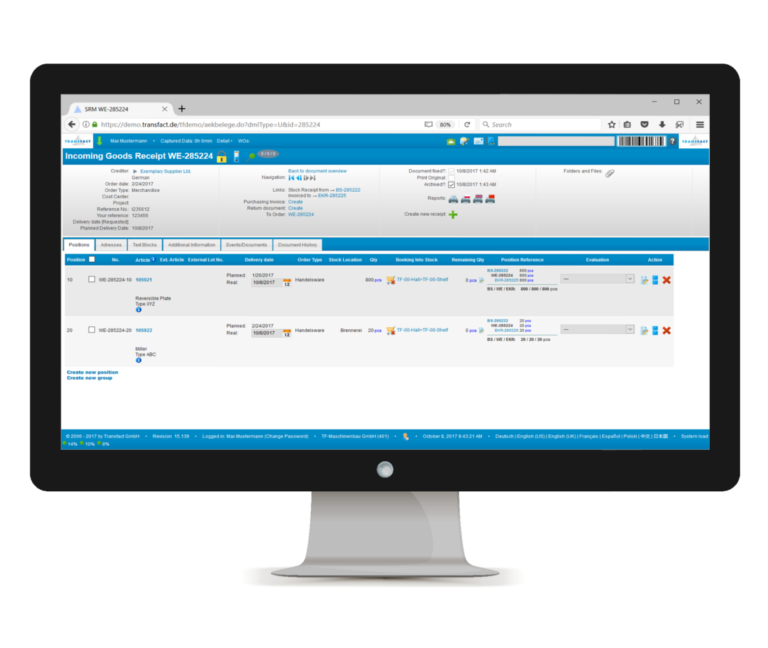 Purchase orders for external processing can be automatically generated at the exact step when the material is ready to be sent out, saving you processing time and avoiding wasted idle and waiting times due to administrative bottlenecks. All relevant and production-specific information that needs to be sent for external processing, gets transmitted automatically in the way you need it. 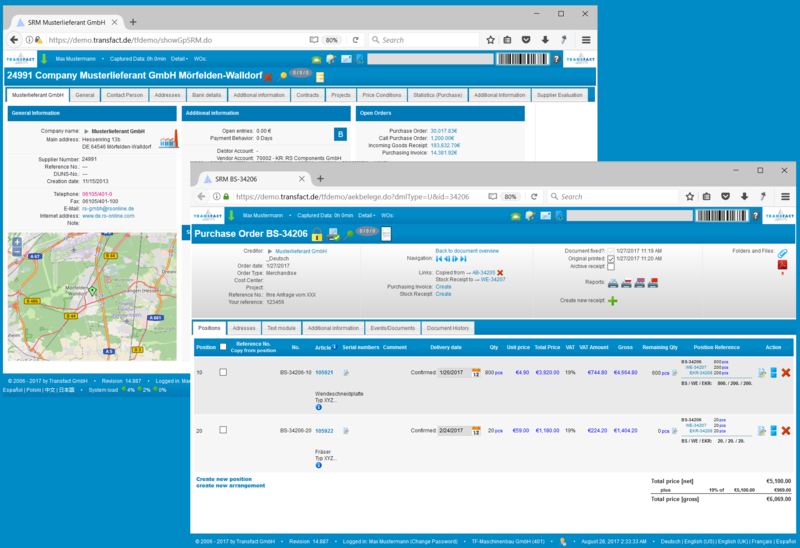 The SRM Module integrates production, stock and sales information with all your current purchase orders and provides a comprehensive overview of your material requirements planning (MRP). 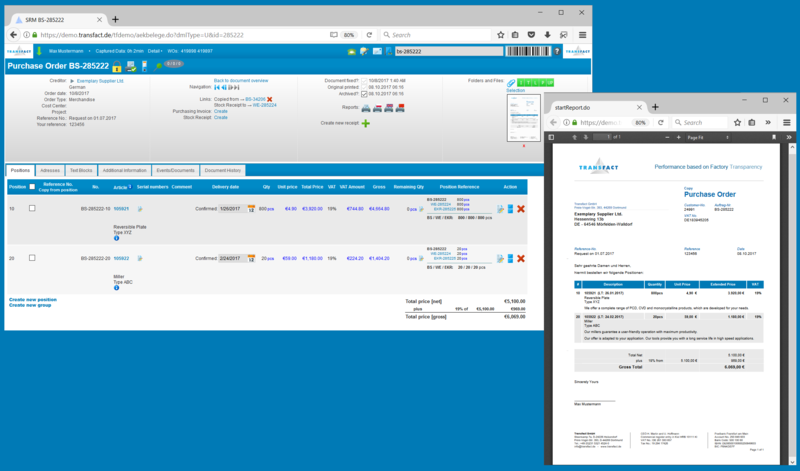 The Transfact MRP Reports include easy-to-use functions, that allow you to create and adjust the purchase orders you require, for the quantities you need, on the dates when you’ll need them. All with just a few clicks. 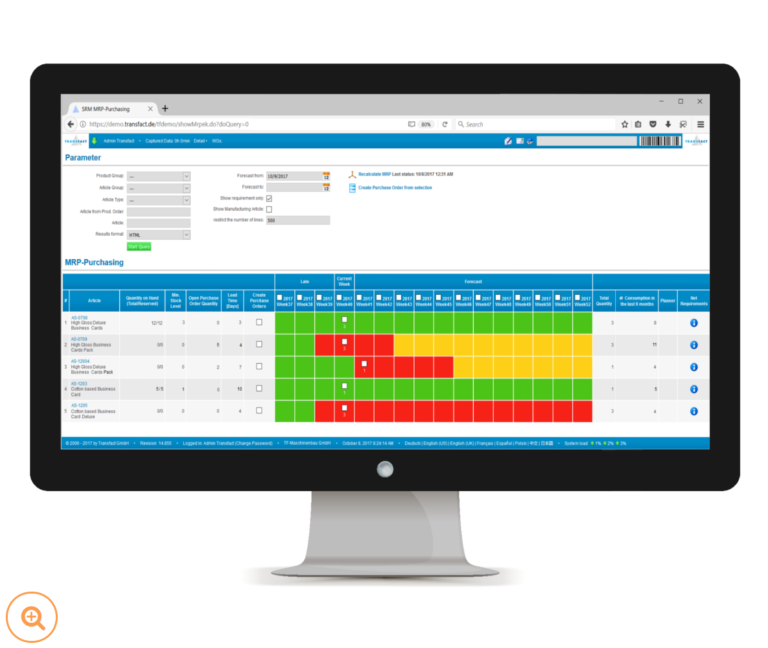 Color codes, timelines, clickable multi-select options, filters and search functions make it easy to manage and fulfill your purchasing requirements. If your company is required to comply with the European Intrastat Forms, the Transfact System has got you covered: Just configure the article codes specific for your products and the system does the rest. 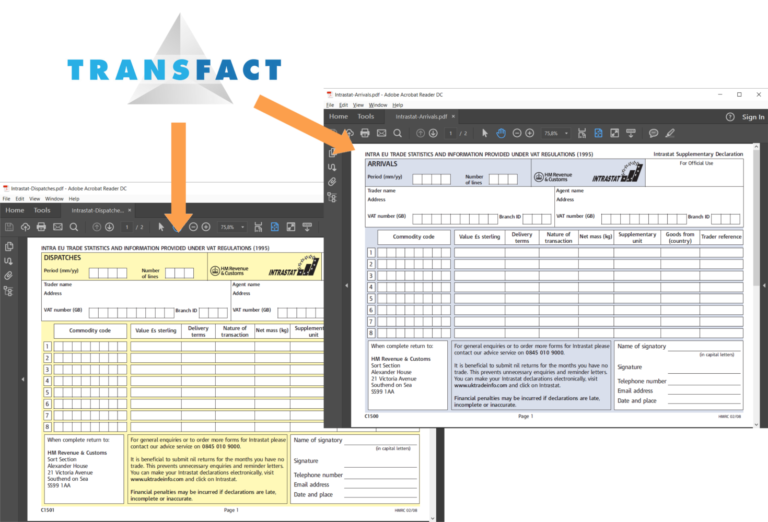 The Transfact System can automatically generate your Intrastat reports every month, summarising all the required data and filling up the Intrastat forms for you. You can choose to print out your reports to be physically sent out or you can also download compliant files that can be sent out electronically. 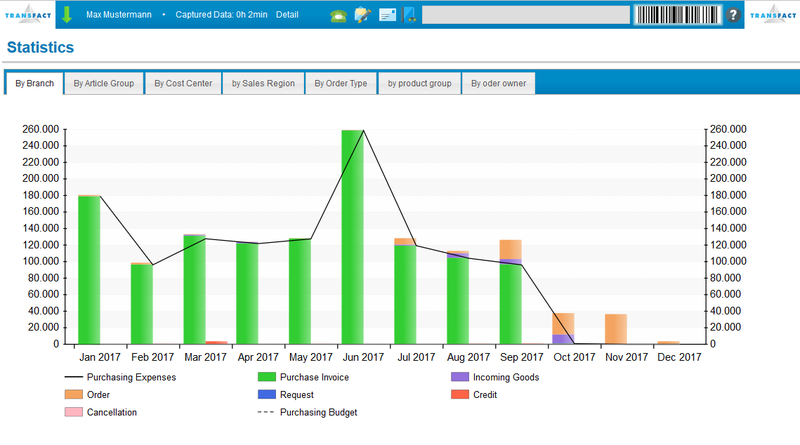 Display and analyse your purchasing data classified by material groups, branch, industry, regions, etc. The Transfact SRM System collects, saves and structures all your purchasing data and automatically displays statistical information graphically, that help you monitor your purchases. Set specific purchasing budgets in total, by month or by the classification that your organisation requires. 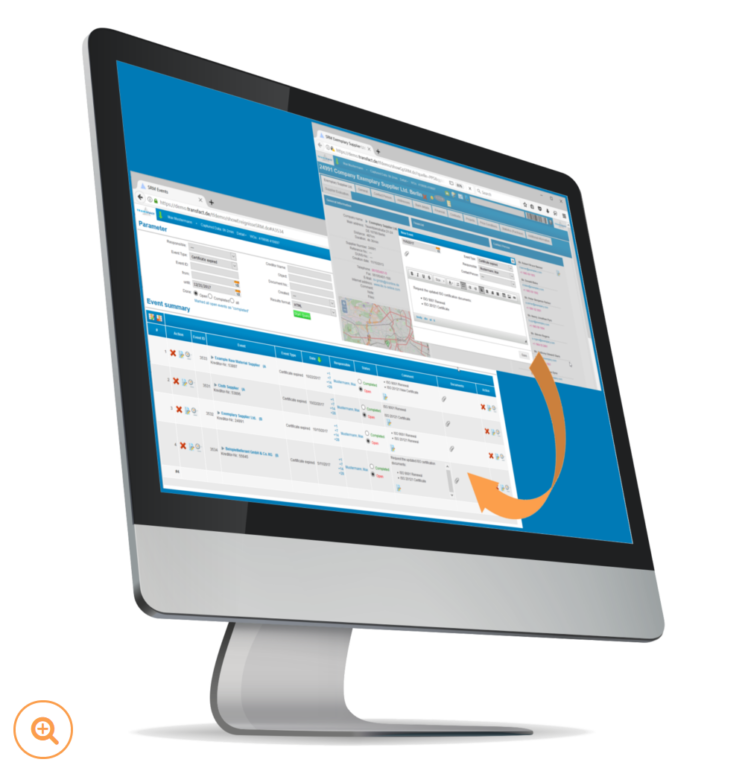 Create events to schedule meetings with suppliers, quality control follow-ups, compliance checks and any other activity that you’d like to keep track of, all fully configurable. Events can be directly linked to a supplier as well as a particular document in case you need to follow up on particular purchase order, incoming goods receipt or an received invoice. Add deadlines to these events and assign them to specific members of your team, so that the system can help you keeping to your schedule. Events can be complemented with additional notes or attaching special relevant documents to them. The Transfact SRM automatically generates all the pdf documents to support your purchasing workflow, with the specific logo and design of your organization. 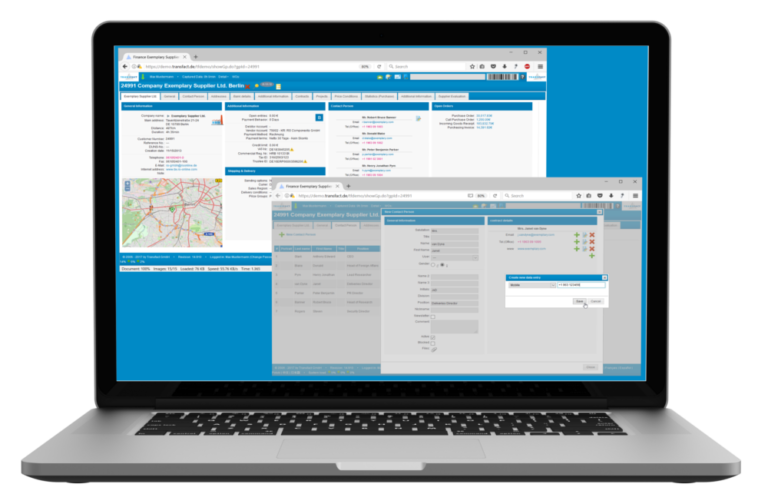 Documents are directly saved in the Transfact Data Base and made fully searchable, so that they can be accessible and easy to find for your employees at any time, from anywhere. Upload additional documents to the system and have all related data organised in one place. 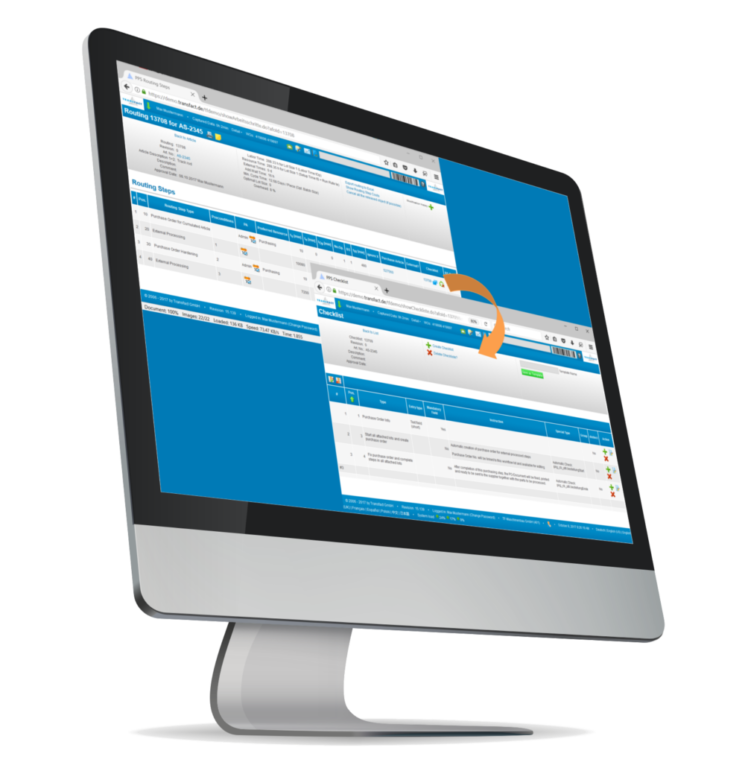 Send and receive E-Mails directly from the system, this will automatically attach the relevant documents and keep the E-Mail linked to its corresponding record.